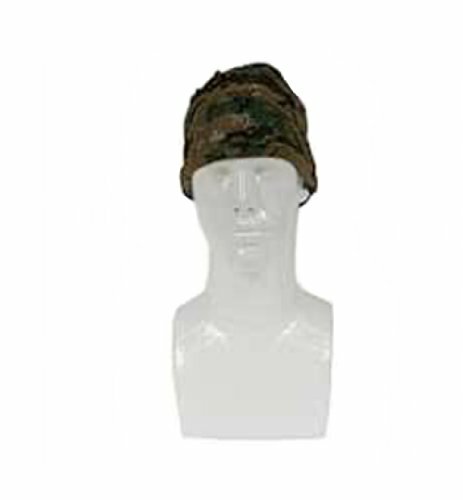 Features & Benefits: Works as a Sweatband, Balaclava, Neck Gaitor, Helmet Liner, Contour-Conforming Face Cover, Dew Rag, etc. Made of high-tech micro fiber (comfortable as cotton with synthetic performance). Versatile design works well in both hot and cold weather conditions. (Keeps user cool in Summer/warm in Winter). Seamless construction with Lock-Knit stitching ensures it will not unravel. Easy care, just wash and wear. Will not shrink. One size fits all. IMPROVED DESIGN Feature -Now two inches longer with Enhanced materials • 100% Made In The U.S.A. - GUARANTEED FOR LIFE! Available in assorted colors. If you have any questions about this product by Spec.-Ops. Brand, contact us by completing and submitting the form below. If you are looking for a specif part number, please include it with your message.